What makes a person worthy to lift Mjolnir? In the Marvel Comics universe, there have been several characters who have proven worthy to lift Mjolnir and wield its awesome power. Steve Rogers aka Captain America has lifted it on several occasions and shown that his soul has the necessary purity, as well as warrior spirit. Besides Captain America, there have been others capable of lifting Mjolnir from the ground, these have included the alien Beta Ray Bill, the Red Norvell, Buri, Bor, Thunderstrike and Odin himself. The new Thor, the mortal woman Jane Foster, has also shown to be able to not just lift it, but utilize the full extent of Thor’s powers too. 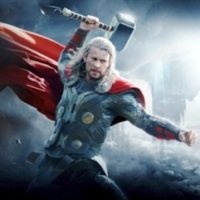 Looking outside the Marvel Universe, we look at the common traits of those worthy and hypothesize who might have the traits needed to not just lift the hammer, but use its power too. These are the traits we’re looking for: Viking lust for battle, purity of spirit, willingness to kill but only when necessary, and the desire to do good. It was theorized in Avengers: Age of Ultron that The Vision could lift Mjolnir because he was a synthetic, and not a biological human being. It’s entirely possible that as a living entity, biological or otherwise, he is bound by the same rules as everyone else however. Which brings us to the greatest Autobot of them all: Optimus Prime. 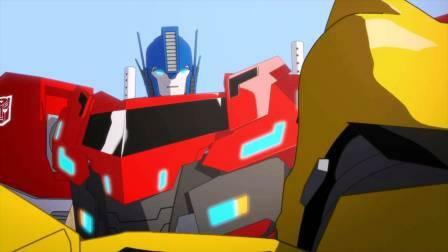 There have been several versions of Optimus Prime since his first incarnation in the original cartoon back in the ‘80s. Most have been older and wiser than the rest of the Autobots, but some have seemed to be less mature, like the one seen in fan-favourite Transformers Animated. A constant through all his incarnations is that he is considered to be one of the greatest warriors in the universe. His courage is unquestionable. In Transformers: The Movie he takes on Megatron and his best warriors single-handedly, even giving his life to try to stop Megatron once and for all. It has even become a staple of the character that in just about every iteration he gives his life at least once. While rarely one to display enthusiasm for killing, his “One shall stand, one shall fall” speech from Transformers: The Movie shows that when it comes down to it, if you smash his city and kill his friends, he’s going to kill you for it. Which just leaves a desire to do good. If spending eons attempting to rid the universe of one of its greatest evils and liberate your home planet doesn’t count, we aren’t sure what does.